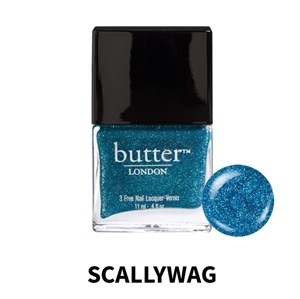 I wanted to share and spare you all the horror of two polishes I purchased from Butter London , Scallywag and Fiddlesticks. Now the website from the company does give a very very accurate description of the two ..
Full coverage, bright turquoise glitter suspended in a clear base. The brushes were small to use. The formula consistency is a bit runny. The picture shows a single thick coat on the index finger, a single thin coat on the middle finger and two big coats on the ring finger with a top coat. 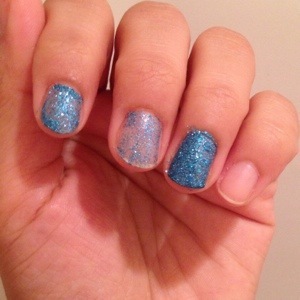 This is he first time EVER that I didn’t want to apply the polish on all the nails. This was so disappointing 😦 I was most excited for this polish and the swatches made me believe it was somewhat similar to Zoya Dream, but could I be more wrong! This polish takes forever to dry unless I apply super thin coats and build it up (I don’t have that much time ). 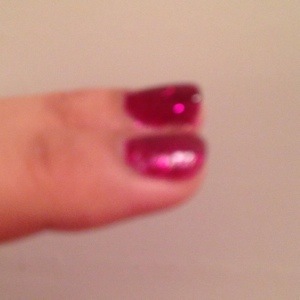 Notice the middle finger how the formula causes balding and dragging of the polish. NOT Worth $15 ! 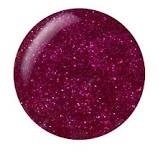 Full coverage, semi-matte, magenta glitter suspended in a raspberry base. OVERALL : absolutely disappointed. Not worth the $15. I would not use these at all. They looked cheap and didn’t look good on my hands at all. I have never been so much disappointed in a polish. Don’t waste your money on this brand (sorry but that’s how bad I found them). 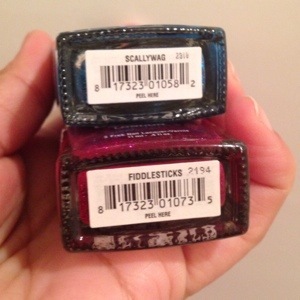 There are cheaper polishes in the market with much better quality. These are quite some more are available on their website as Last Call Items. Selling for half price Sale ends at 11:59 PM PST on 1-23-14. 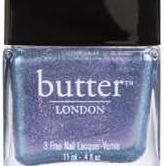 Haute Look by Nordstrom Rack are selling the Butter London Polishes for $7, they retail for $15 each. I have already ordered three ! You will need to register at the website and for the new user the HauteLook sends promotional emails, I got $30 off the purchase over $50. If you don’t get the email right away use code HAUTE30GIFTM. Free shipping for orders over $100… Although the shipping is pretty slow because it comes from the seller rather than Nordstrom, but surely worth the wait .. Good luck .. Note: I am giving this review from personal experience ONLY. I am trying to look around for deals and make a note in my “ready to grab online” list for this Black Friday. 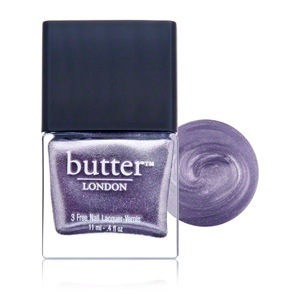 I have tried Butter London once in Macy’s , but it wasn’t enough to review or really form an opinion about it. I did like the application of the polish, the bottles are super cute, and the colors are gorgeous (ESP the pastels)..! But I have read reviews and many people don’t quite agree the quality to price relation on this brand .. Again some totally love it .. 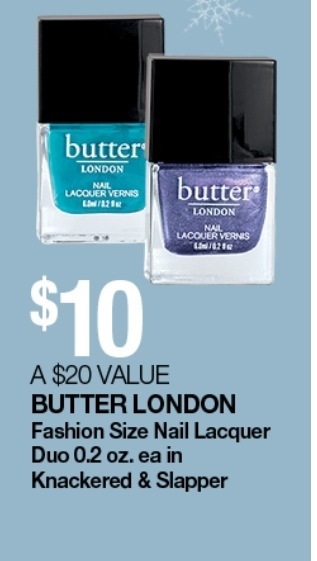 So I am not sure , although I am not ready to spend $15 on a bottle of color just yet ..I came across this ad for Ulta and Macy’s ( I am sure other stores have it too) , exclusively for the thanksgiving day sales Butter London has two polishes gift set on sale for $10, unfortunately the colors are pre-set and you don’t have an option to pick your colors. 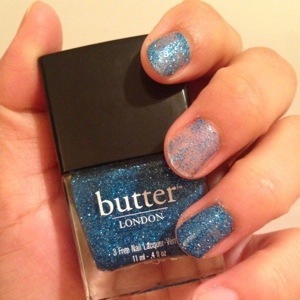 A sheer, twinkling oyster shade flecked with micro glitter particles. This duochrome nail lacquer is sure to please. As far as I am concerned I’ll pass this offer.. What about you guys ..